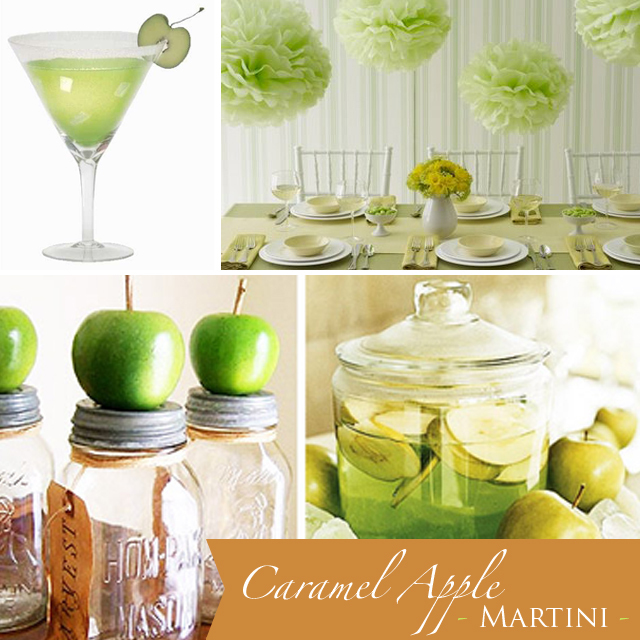 In honor of fall, we are featuring the super-yummy caramel apple martini. This elegant martini is a fun and tasty twist on your everyday appletini. Plus, it's candy-sweet and you barely even taste the booze. Talk about dangerously delish! Garnish with your own special touch whether it be a dried apple slice, rock candy stick, drizzled caramel on the glass, or a squirt of whipped cream on top. Combine vodka, schnapps, and crushed ice in a shaker. Shake vigorously to chill. Pour into martini glass, garnish, and serve.